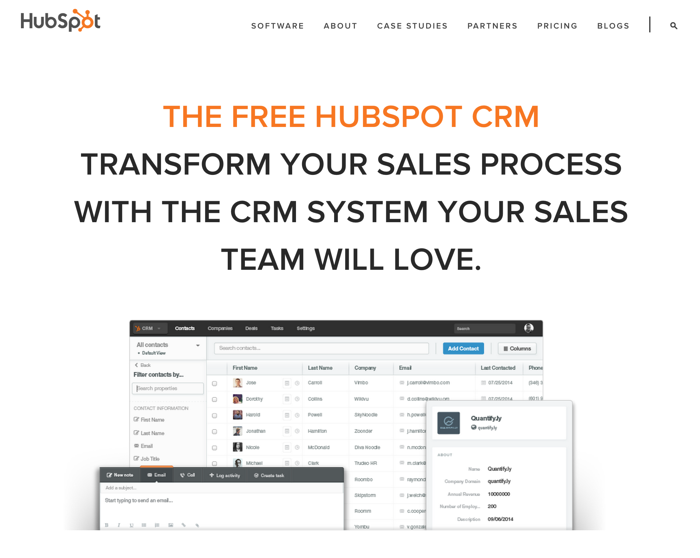 The Hubspot CRM and Sidekick helps you quickly add accounts and contacts with the touch of a button. Create sales templates, messaging, and documents to easily manage and share with prospects. 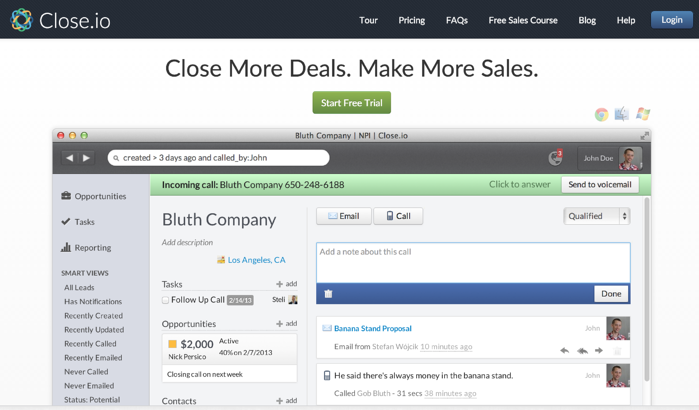 It's easy to create deals and drag-and-drop them to pull through your custom sales stages. The other big advantage is that Sales and Marketing teams manage all companies and contacts under the same database. LinkedIn's Sales Navigator is a social selling tool that allows you to focus on the right prospects, stay informed via insights, and build trusting relationships. Use the tool to receive tailored lead recommendations and find the right prospects, fast. You can save these leads and follow updates on your prospects, turning cold calling into warm conversations. Get custom lead recommendations based on your preferences. Find the right leads with Lead Builder's Advanced Search feature. Import your Salesforce data with a single click. Unlock full profiles for leads that aren't in your network. Get real-time sales updates on both prospects and customers. Access teammates' networks using TeamLink. Contact any LinkedIn member with up to 30 InMail messages a month. Prospector automates list building through the power of social networks and syncs contact information directly to your CRM. Using the Chrome browser extension, you can search for prospects by title, location, industry, or social network group from anywhere on the web to build highly specific and targeted lists. Cadence allows you to build your own unique process for sales development emails, phones calls, etc. The tools provides "bumper guards" to keep your email schedule on track and your phone list complete. Cadence connects directly to your mail server, making sure your emails don't end up in the spam folder. It also automatically removes prospects from your follow up email templates once they've replied, allows you to set up semi-automation, and customize emails in batches. 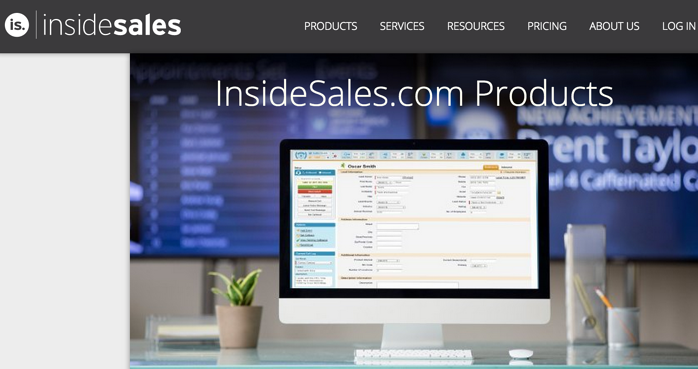 InsideSales' Sales Acceleration Platform includes communications, gamification, predictive analytics and data visualization. It allows you to contact prospects "in the right way, at the right time," motivate your sales team, predict which leads you are most likely to contact, qualify and close, and makes data actionable. The platform uses Neuralytics, a predictive and prescriptive self-learning engine that drives revenue growth by recommending the best leads to contact and close. It also uses NeuralView, a database of over 80 billion sales interactions, to predictively targest sales efforts by likelihood to contact and likelihood to close based on historical outcomes. The pipeline overview gives you a dashboard that allows you to view all of the deals in your pipeline by both user and status. Leads are broken down week by week, track total and expected value, and show you how confident the sales person is that the deal will close as well as the expected close date. Close.io also includes lead pages where you can see lead information, tasks, opportunities, contacts, and all sales person activity. Witty Parrot can be used for anything from sales enablement, talent acquisition, customer service and marketing and messaging to personal productivity. When utilizing content in the sales process, you can use Witty Parrot to personalize content, respond to questions, keep content fresh, and repurpose content. You can also rapidly respond to prospects, personalize outreach, and shorten the sales cycle. Real-Time Account Qualification is an online qualification tool that provides real-time access to relevant questions to ask prospects, organized by buyer persona or role. First Call Follow-Up simplifies the follow-up process by using communications tailored for each unique selling situation. Rapid Prospect Response replies instantly to information requests from prospects and customers. Personalized Outreach allows salespeople to leverage personalized best practice templates. Shortened Sales Cycle means allowing sellers to be laser-focused on addressing the prospect's precise information request instead of giving them entire documents and lengthening the cycle. 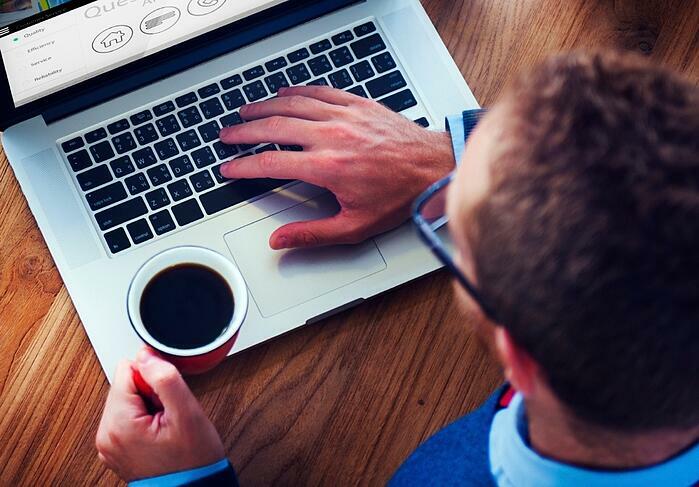 Avention’s B2B sales and business lead generation and qualification tools allow users to “fuel your prospecting with the power of Big Data.” Avention for Sales uncovers prospects, feeds your pipeline, analyzes companies, and provides richer insights for smarter lead generation and qualification. Avention's one-of-a-kind functionality helps you analyze and understand companies and contacts at a deeper level, uses extensive business profiles and sales intelligence to dig deeper for richer insights, and allows for smarter lead generation and qualification. Conceptual Search: captures, understands and connects companies and executive contacts to relevant topics. Business Signals: provides insight into specific characteristics of a business (opening new facilities, experiencing an executive change, engaging in partnerships, etc.). Ideal Profile: leverages a combination of the above two tools to define your ideal customer, score them relative to your criteria, and compare it against Avention's global database. 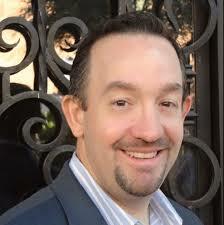 SmartLists: assists with lead generation by providing a deep level of targeting using big data. 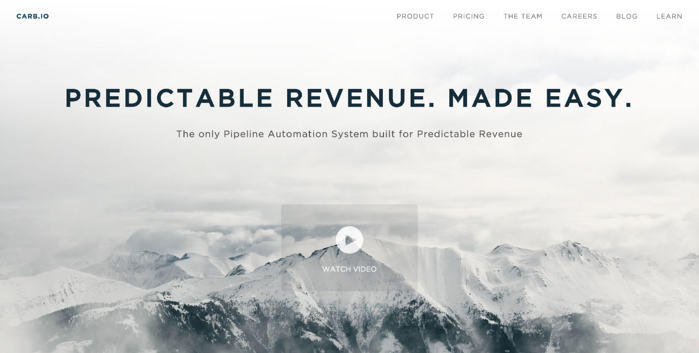 Carburetor is “the only pipeline automation system built for predictable revenue.” Use it to manage outbound and inbound email seamlessly, as it provides response automation and visibility into the entire email pipeline. 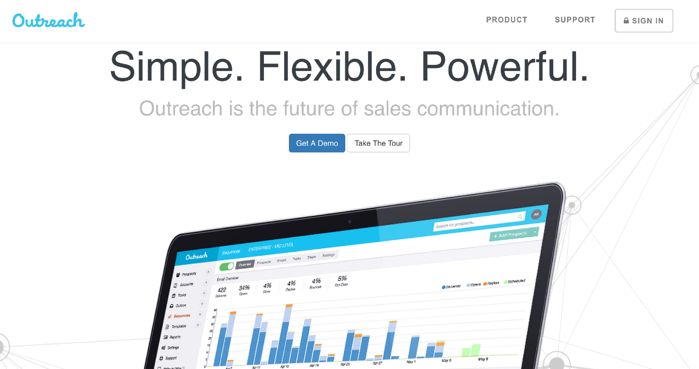 Carb.io also has a Cold Calling 2.0 dashboard, reliable service, and Saleforce integration. Carburetor feeds your sales team warm, executive-level meetings with new clients who are most likely to convert and have the highest lifetime value. Carburetor does this by building a profile of your ideal customer (think annual revenue, organization size, industry, territory, etc.) and finding matches to that profile from a wide variety of sources. Carburetor's sales team then reaches out to see if those matches are a good fit. If they are, they loop in a member of your sales team to schedule a meeting. InsideView for Sales makes it easier to “find, engage and win deals with the most accurate prospect data, business insights, and social connections.” You can build a list of quality prospects, target your list with custom filters, and be alerted to compelling reasons to engage with prospects. InsideView can be accessed on both desktop and mobile. Aggregates and analyzes over 30,000 sources in real time to give you up to date information on your prospects and customers. Gives you the data you need to find the best prospects, engage with relevant and timely insights, and connect with a warm introduction. Builds target lists based on your custom criteria. Syncs data directly to your CRM. Outreach is “the only system intelligent enough to know exactly who needs a follow-up and when they need it, helping you outperform your sales goals.” It allows users to email and call simply, never miss a follow-up, update records automatically, and get insightful analytics on who on your team is performing at what level and how they’re spending their time. Outreach starts simple, and expands to fit the needs of mid-size and enterprise teams. It fits the needs of every member of your team, from SDR to Sales Operations, and is an incredibly fast and efficient communication tool. After you review the above 10 tools and see what works best for your business and situation, you’ll be able to take your sales performance to the next level. To gain insight on even more sales tools, check out Nancy Nardin's Smart Selling tools. 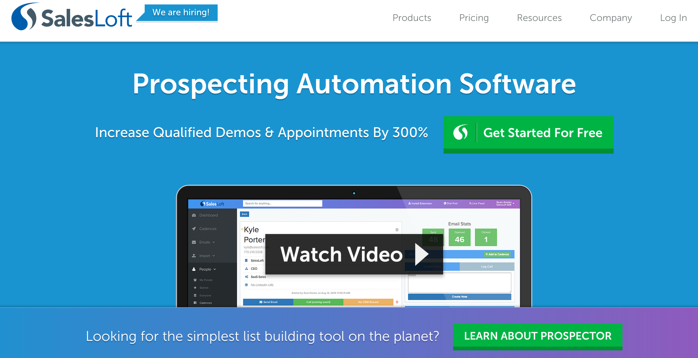 Once you've picked the tool that's right for you, take advantage of all of the features and integrations the tool provides, and you’ll learn more about your prospects than ever before. With today’s technology and the accessibility of information on companies, prospects, and competitors, salespeople are primed to succeed now more than ever.